Fair play Cork, never looked like losing, Clare too error prone and not sharp enough. Will need to improve a fair bit for Tipp. By Semi Final time, it will be a long time since Galway will have had a meaningful game. Last edited by Sulla; 10th-July-2017, 14:43. To be played on the 23rd down the Páirc. There'll be great fun at the Dunkettle Roundabout. Some of the stress has been relieved from Dunkettle, they haven't gone with a double header. Both hurling games in Páirc Uí Chaoimh. Wex V Water at 4pm the following day. May be a good idea to split the crowd due to it being the first games in the new stadium and there may (will) be teething problems. The double header would of been great for fans and neutrals ..... but alas no . Some wait. Galway have probably had an easier run thus far though in terms of preparation for their semi. Their toughest game being Wexford who didn't really threaten on the day. Cork have probably come up against tougher competition in the run up. They'll get a round or two of the County Championship played off, maybe. They must hard up on funds in Clare if they need to nick a bag of sliotars..
one pass in the first half was almost into Alan Cadogans pocket. Deadly. Good open championship this year. Cork probably favourites, but Waterford are playing well and seem to have a bit of mental toughness about them. Hard to know with Galway, I think Wexford are poor enough despite the KK win. 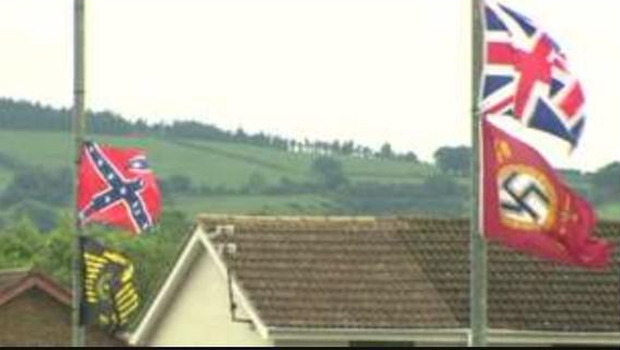 You know the Cork bandwagon is back when those stupid Confederate flags are being flown. Seriously, not cool lads. Give them up. That's Freemount on the hit list. Looks like the Freemount questions were just ignored at the end of last nights meeting. They were referred to by Ger Lane but then cast away. Nothing new from the County Board. Coleman, Fitzgibbon, Kingston and Meade all starting for the Cork u21s tonight in the Munster semi final. Shane Bennett starting for the Déise. Meade is a doubt. Rumours that he broke his thumb last Sunday. The game is live in tg4 tonight. Limerick very impressive last night they'll be hard beaten in the final. Another brilliant win for Cork tonight in the U21s semi final. It finished 2-17 to 1-19. We beat Waterford by 1 point scoring a penalty with seconds left. A tight game like that, I don't think we'd have won that last year, but confidence was flowing and they had no intention of stopping the momentum that's with Cork hurling at the moment.